The Al-Nusra Front (Jabhat al-Nusra) is an Al-Qaeda Salafist-jihadi network, prominent in the rebel organizations in Syria. It seeks to overthrow the Assad regime and establish an Islamic Caliphate in Greater Syria, a center for regional and international terrorism and subversion. 1. During the Syrian civil war two branches of Al-Qaeda established themselves among the rebel organizations fighting to overthrow the regime of Bashar Assad. The most prominent is the Al-Nusra Front (Jabhat al-Nusra), directly subordinate to Al-Qaeda leader Ayman al-Zawahiri. The other is The Islamic State in Iraq and Greater Syria, subordinate to Al-Qaeda in Iraq. In addition, other Salafist-jihadi military organizations not necessarily affiliated with Al-Qaeda operate in Syria. The two Al-Qaeda branches have an estimated 6,000-7,000 operatives, and in our assessment the number is growing. 2. This study deals mainly with the Al-Nusra Front, an organization established at the end of January 2012, ten months after the outbreak of the Syrian uprising. Initially it operated as a branch of the Islamic State in Iraq, a Salafist-jihadi umbrella network affiliated with Al-Qaeda in Iraq. To make its status official, in April 2012 Abu Bakr al-Baghdadi, leader of Al-Qaeda in Iraq, announced the union of the two organizations, to be called "The Islamic State in Iraq and in Al-Sham (Greater Syria)." However, the union was not honored by the Al-Nusra Front and was annulled by Al-Qaeda leader Ayman al-Zawahiri in June 2013, who said the Front was the official Al-Qaeda branch in Syria. That resulted in a split between the two branches of Al-Qaeda in Syria and today they are antagonistic toward both each other and rivals. 3. The Al-Nusra Front identifies with Al-Qaeda's Salafist-jihadi ideology. It seeks to establish an Islamic Caliphate in Greater Syria, which includes Syria, Lebanon, Jordan, Israel and the Palestinian Authority, which will be ruled by religious Islamic law (the Shari’ah). The Al-Nusra Front is hostile to Israel and the West, rejects Western values (among them democracy, pluralism and freedom of worship) and objects to all Western intervention in the Syrian civil war. It is also hostile to Syria's minority sects and religions, especially the Alawites and the Shi'ites, whom it regards as infidels. The path of jihad is its proclaimed strategy for toppling the Syrian regime and realizing its other far-reaching objectives, and it regards jihad as the personal duty of every Muslim (following the teachings of Abdullah Azzam, Osama bin Laden's ideological mentor). 4. Both the Al-Nusra Front, Al-Qaeda's representative in Syria, and the Islamic State in Iraq and Greater Syria seek to promote long-term strategies: the first stage is to gain a hold over the rebel groups and establish a strong foundation in Syria for jihad, which will support the overthrow of the Assad regime. That will be done through collaboration (even if only partial and temporary) with other groups of rebels, especially those with Islamic affiliation. The second stage will be to take over the new Syrian regime formed by the union of all the Salafist-jihadi forces operating in Damascus, or at least to gain significant influence in it. The third stage will be for the jihadist regime established in Damascus (or for any other regime with a jihadist orientation) to establish an Islamic Caliphate in Greater Syria, serving as the front line for Al-Qaeda and the global jihad in the heart of the Middle East. It will wage a terrorist campaign against Israel from the Golan Heights, export terrorism to the West and other countries around the world and be a center for Islamic subversion and terrorism against the pro-Western Arab and Islamic countries. 5. The Al-Nusra Front isthe most prominent Salafist-jihadi organization fighting in the Syrian civil war and is headed by a leader called an Amir ("leader," a common title in contemporary jihadist organizations). It refers to a leader with both political and religious authority, as was set down at the dawn of Islam. Subordinate to him are local leaders (u'maraa) in Syria's cities and governorates (sometimes there is more than one amir in a governorate). The highest body in the Al-Nusra Front Is the Majlis Shura al-Mujahedeen (the Consulting Council of the Jihad Fighters). Within the leadership there are designated staff and operatives dealing with military operations, fund raising, acquiring weapons and smuggling them into Syria, religious affairs, information and public relations. The Al-Nusra Front operates military units in the various governorates. They are usually called battalions or companies. They are accompanied by governance, religious and information networks, whose objective is to strengthen the Al-Nusra Front's influence among the people, gain their trust and fill the void created by the collapse of Syrian administration in broad areas of Syria. 6. The Al-Nusra Front leader on the ground goes by the name of Abu Muhammad al-Julani (there are contradicting, unverified versions of his real name). He is apparently a Syrian, possibly from the Golan Heights, who gained operational experience in Iraq fighting the United States and its allies. In the past, he was a follower of Abu Musab al-Zarqawi, who led the jihad fighters sent to Iraq by Al-Qaeda after the American invasion in March 2003. After the outbreak of the uprising in Syria, Abu Muhammad al-Julani was sent there by Al-Qaeda in Iraq to establish the Al-Nusra Front. Other Al-Qaeda operatives who gained experience in Iraq are also prominent in the Al-Nusra Front command, while the rank and file is made up of Syrian operatives and thousands of jihad fighters from the Arab-Muslim world (particularly Libya, Tunisia, Chechnya, Saudi Arabia and Egypt) and many hundreds from the West (prominent among whom are 500-600 volunteers from Europe, mainly France and the UK).Those who survive are expected to return to their home countries when the fighting in Syria is over and spread jihad to their native countries (there are an estimated 5,000 foreign nationals fighting in Syria today, most of them in the Al-Nusra Front). 7. 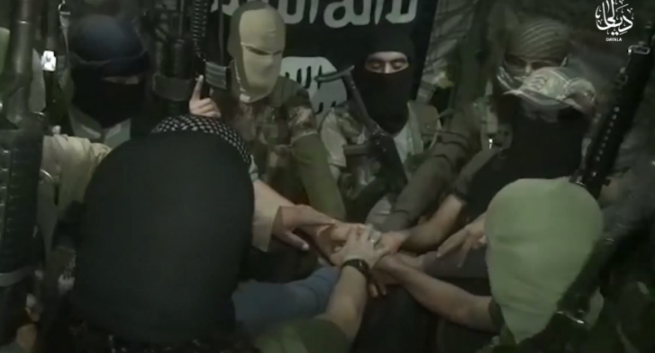 The Al-Nusra Front has issued claims of responsibility for hundreds of attacks. Its operations, and those of the Islamic State in Iraq and Greater Syria, focus on Damascus and its environs, and areas in northern and eastern Syria (Aleppo, Homs, Hama, Idlib and Deir ez-Zor). The Al-Nusra Front also conducts intensive military activities in the region of Daraa, in southwestern Syria, where the uprising against the Assad regime began. In several governorates in northern and eastern Syria the Al-Nusra Front enjoys considerable power and influence over the local population (in collaboration with other Islamic organizations). Along the coast, however, where the Alawite population lives (Tartus and Latakia regions), or in the Al-Suwayda Governorate in southern Syria, where the Druze population is dominant, the Al-Nusra Front and other jihadist organizations do not have a significant military presence or civil administration. The Al-Nusra Front is also trying to obtain a foothold in the Golan Heights. In our assessment, it does not yet have a significant military foothold, although in one instance it carried out a suicide bombing attack in the village of Sasa, harming an important symbol of the Syrian regime. (The attack destroyed military intelligence headquarters of the Quneitra Governorate). 8. In the governorates noted above the Al-Nusra Front wages a guerilla-terrorist campaign against bases, facilities and individuals affiliated with the Syrian army and regime (especially the army and security forces, and government institutions). Its objectives are to create chaos for the regime and its supporters and to sever connections between the various governmental regions, disrupt their ability to govern, and to give the Al-Nusra Front (and other rebel groups) control over large territories, especially in northern and eastern Syria. To that end the Al-Nusra Front employs a variety of combat tactics: car bombs detonated by suicide bombers or remote control; suicide bombing attacks using explosive belts; attacking bases, facilities and airfields with light arms and mortars; detonating IEDs along main roads (the organization's operatives gained experience in using IEDs in Iraq); and attacking army and security force roadblocks. 9. Suicide bombing attacks are the signature brand of the Al-Nusra Front (the organization has claimed responsibility for most of those carried out in Syria). Suicide bombing attacks, especially those attacking Syrian regime centers in Damascus and Aleppo, have given the Al-Nusra Front an operational bonus painful to the Syrian regime, but successful attacks create a negative image. The West and Arab-Muslim countries have become increasingly worried about the infiltration of Al-Qaeda elements into the ranks of the rebels and in consequence are less willing to support the opponents of the Syrian regime. In addition, the suicide bombing attacks alienate some of the Syrian public because they are sometimes carried out indiscriminately, killing innocent civilians who were in the wrong place at the wrong time. Apparently, the use of suicide bombings was inspired by Iraq, where for many years Al-Qaeda organizations have carried out mass-casualty attacks which kill and maim many civilians. 10. The Al-Nusra Front and other Salafist-jihadi organizations collaborate with Islamic rebel groups that do not necessarily share Al-Qaeda's ideology. There is also ad-hoc collaboration between them and the Free Syrian Army, the organization leading the fighting against the Syrian regime, which is Syrian nationalist and secular in character (although many of its fighters clearly have an Islamic affiliation). In several areas there is military collaboration between the Al-Nusra Front and the Islamic State in Iraq and Greater Syria, despite their rivalry. On the other hand, there is tension between on the one hand the Al-Nusra Front and other Salafist-jihadi organizations, and on the other the Free Syrian Army, which in some instances deteriorated into violent confrontations. There are also tensions within the Salafist-jihadi organizations. At this point, as long as fighting the Syrian army, their common enemy, continues, they are willing to contain their basic differences to prevent deterioration to a general confrontation. However, the morning after, and perhaps before, a violent struggle is liable to break out to determine the nature and image of the future Syrian regime, in which the Al-Nusra Front is expected to play an important role. 11. Many areas in northern and eastern Syria which fell under the influence of the Al-Nusra Front and other rebel groups have turned into what are known as "liberated zones." For the Al-Nusra Front it is particularly important to provide local Syrian residents with support and assistance and to establish an alternative rule in areas where the Syrian regime is no longer sovereign. To that end the Al-Nusra Front has set up designated bodies in the various zones. They distribute food, clothing, blankets and other necessary items and operate legal, policing, educational and health systems. Western correspondents who visited the liberated zones reported in most cases that the local residents were satisfied with their lives, which had returned to normal after the collapse of local Syrian governance. However, in some places, complaints were heard, especially about the strict code of behavior that had been enforced (the insistence on "modest" dress for women, for example) and acts of cruelty (takeover of resources, execution of prisoners, maltreatment of minority sects). 12. In northern Syria the Al-Nusra Front and its allies successfully took over vital governmental facilities, among them oil and gas fields and pipelines, dams, power plants and grain silos. 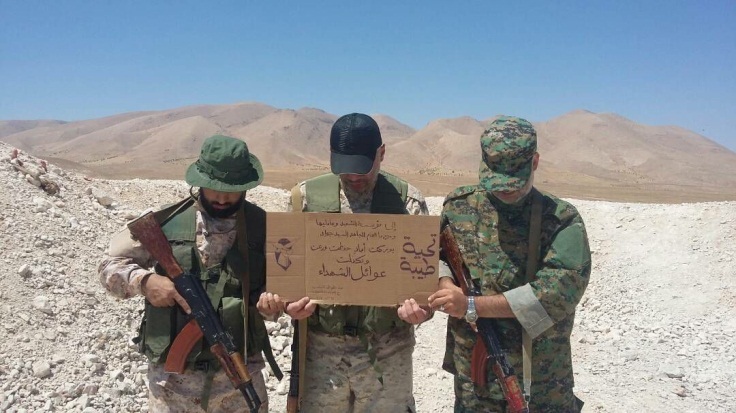 They and other rebel groups operate the facilities, sometimes in tacit agreement with the Syrian regime (delivering oil and gas to the regime they are fighting in return for payment). The profits (especially from the oil fields) provide the Al-Nusra Front with a high monthly income enabling it to pay its operatives' salaries, purchase weapons and assist the population. 13. The civil war turned Syria into a magnet for Al-Qaeda and global jihad operatives, and they continue to arrive in large numbers. Jihadist fighters who came to Syria from Iraq, other Arab-Muslim countries and the West joined the local Syrian operatives and established jihadist organizations which include the Al-Qaeda-affiliated Al-Nusra Front and the Islamic State in Iraq and Greater Syria. Some of the volunteers joined the Free Syrian Army and other Islamic military organizations not affiliated with Al-Qaeda and the global jihad. Some of them moved from one organization to another and wound up in jihadist organizations with upgraded military capabilities and strong ideological attraction. However, at this point it is difficult to predict how the civil war will end, what the relative power of the Al-Nusra Front and the other jihadist organizations will be, what the balance of power will be between the various organizations affiliated with the global jihad and the national Syrian organizations or the Islamic Syrian organizations, and how the events of the second wave of regional upheaval in Egypt will influence the power of the various organizations and further developments. 14. 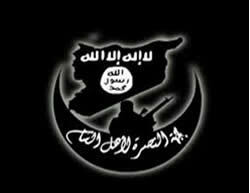 In any event, at this time (summer 2013), the Al-Nusra Front, designated as a terrorist organization by the United States and a number of European countries, is one of the prominent organizations among the rebels. That is because of its operational capabilities and influence among the population. Its top priority is currently fighting the Syrian regime to topple it, not, at this time, to impose Islamic religious law in Syria or promote an agenda of regional or global jihadist terrorism. To that end the organization often tries to behave pragmatically, joining with other rebel organizations (including those which have reservations about Al-Qaeda). It generally does not enforce its radical ideology on the Syrian population in the regions it controls, and invests a great deal of effort in assisting the local population and filling the administrative vacuum in the "liberated zones." 15. However, in our assessment, for the medium- and long-term future, the Al-Nusra Front and other Salafist-jihadi organizations can be expected to make an attempt to take control of the Syrian uprising (if it succeeds) and realize their vision of an Islamic Caliphate in Greater Syria. In our assessment, they will face many difficulties in attaining their goal, caused by Syria's political and social character as a state with many ethnic groups and religions and with a governmental and ideological tradition of secular Arab nationalism. In addition, there are many differences between the Islamic organizations operating in Syria, even those affiliated with Al-Qaeda. Thus it can be assumed that the Al-Nusra Front's chances of taking control of the Syrian revolution and establishing a Syrian regime affiliated with Al-Qaeda are low. Nevertheless, in our assessment the Al-Nusra Front has the ability to become more powerful and may be the dominant player among the rebels, even the morning after. Such a force will have to be recognized and may be difficult to suppress. 16. Today the Al-Nusra Front is prominent among the rebel organizations because of its military and financial capabilities, its effective chain of command and control, and the deep ideological commitment of its operatives. Even if it does not take control of the Syrian revolution, in our assessment it will be an important factor in shaping its religious-sectarian character, will destabilize Syria and make it difficult for any Syrian regime to govern (whether a weakened Assad regime or one that is propped up by a flimsy coalition of rebel organizations). In the likely scenario of long-term, unstable governance by an administrative center in Damascus, the Al-Nusra Front might emerge as stronger and influence events in Syria. It will try to exploit its status to promote its (and Al-Qaeda's) end goal of turning Syria into Al-Qaeda's front-line base in the heart of the Middle East, in close geographical proximity to Israel, Europe and the pro-Western Arab-Muslim states. A. Ideologically, for the Al-Nusra Front and other Salafist-jihadi organizations operating in Syria, the State of Israel should be annihilated. The Islamic Caliphate that will arise in Greater Syria will include Syria, Jordan, Lebanon and "Palestine." The first video issued by the Front after its foundation shows a picture of the Dome of the Rock in Jerusalem flying the flags of the Al-Nusra Front and the global jihad. On February 12, 2012, Al-Qaeda leader Ayman al-Zawahiri said that after the fall of the Syrian regime Syria would become a base for jihad warfare whose objective would be "to found a country to defend Muslim lands, liberate the Golan and pursue jihad until the flags of victory fly over the hills of occupied Jerusalem." Other Al-Nusra Front operatives made similar declarations. B. Practically, the Al-Nusra Front can be expected to establish an operative terrorist infrastructure in the Golan Heights, a continuation of the military infrastructure it is currently constructing in Daraa in southwestern Syria. In our assessment, Hezbollah and the Palestinian terrorist organizations may integrate themselves into terrorist attacks from the Golan Heights, despite the fundamental ideological differences between them, the Al-Nusra Front and other global jihad organizations. In addition, in our assessment the Al-Nusra Front will also try to join jihadist networks and organizations in the territories bordering on Israel to attack it (such as Ansar Bayt al-Maqdis in the Sinai Peninsula, the Abdullah Azzam Brigades in Lebanon, and the Mujahideen Shura Council in the Environs of Jerusalem in the Gaza Strip) . 2) Taking control of advanced weapons belonging to the Syrian regime, including chemical weapons: The Al-Nusra Front and the other global jihad organizations make an ongoing effort to take over the Syrian regime's weapons depots. As the central government loses its power and ability to rule, there is an increasing danger that the weapons of the Syrian army, including advanced systems, may fall into jihadist hands. They may also be able to acquire weapons supplied to the Free Syrian Army and other organizations with ties to the West. In addition, as the Syrian regime weakens, the Syrian army's chemical and biological weapons may fall into the hands of the Al-Nusra Front and other jihadist organizations. They may use them for terrorist attacks in the absence of the considerations of restraint that influence other terrorist organizations, such as Hezbollah and the Palestinian terrorist organizations. In addition, weapons from Syria may be transferred to other arenas of terrorist activity, as happened in Libya (weapons looted from the Libyan regime arsenals found their way to terrorist hotspots, including the Gaza Strip). 3) Exporting terrorism to the West: After gaining operational experience and skills fighting in Syria, jihadist operatives may establish terrorist infrastructures to carry out terrorist attacks in their countries of origin. They may do so on their own initiative or following directions from the Al-Nusra Front and other jihadist organizations (a kind of return to the model of Afghanistan in the 1980s and 90s). 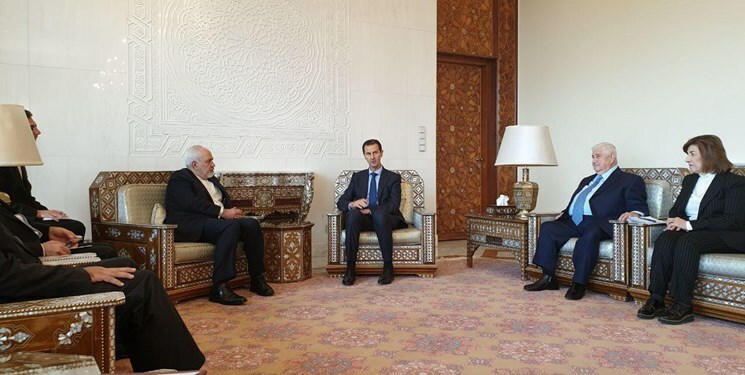 Bashar Assad, interviewed by the Frankfurter Allgemeine Zeitung on June 17, 2013, warned the EU that "If the Europeans supply weapons [to the rebels], Europe's backyard would become a terrorist haven, and Europe would pay a price for this." 4) Emerging as a regional center for terrorism and subversion: A jihadist center in Syria will be a danger to the pro-Western Arab-Muslim countries. Countries such as Jordan, Saudi Arabia, Qatar and Egypt, which, one way or another, support the anti-Assad uprising, may find themselves, on the morning after, as targets for subversion and terrorism originating in Syria. Global jihad operatives in Syria may collaborate with Salafist-jihadi organizations in Arab-Muslim countries to subvert their regimes. The strengthening of the Al-Nusra Front and the other jihadist organizations in Syria, and their radical Sunni Muslim nature, have already made themselves felt in Lebanon and have led to tension and violent confrontations between Sunnis and Shi'ites throughout the Arab-Muslim world. 18. The United States is aware of the potential dangers inherent in the Syrian crisis. On August 6, 2013, Michael Morell, deputy director of the CIA, was interviewed by the Wall Street Journal. He called the crisis in Syria the "top threat" facing the United States today, and warned that the fall of the Syrian regime, which possessed chemical and other advanced weapons, might turn Syria into Al-Qaeda's new haven replacing Pakistan. He added that the violence in Syria could leak into its neighbors, Lebanon, Jordan and Iraq (Wall Street Journal website, August 6, 2013). 19. The main methodological difficulty in preparing this study was the lack of historical perspective on the Syrian civil war. The study was finished in the summer of 2013 at a time when the war was still being fought in all its fury and far from being decided. A more thorough examination of the Al-Nusra Front, its capabilities, intentions, place in Syria the morning after and its influence on Israel, the Arab-Muslim world and the West, will have to be carried out in the future in light of the results of the war and regional and international developments. However, even now it is possible to describe the nature of the organization, its operational methods and to make an attempt to evaluate the variety of potential dangers it poses for the Middle East and the world at large. 20. Another difficulty was the lack of reliable, detailed information about the organizations affiliated with Al-Qaeda and the global jihad operating in Syria alongside the rebel organizations. The rival sides (the supporters and opponents of the regime) customarily issue biased, manipulative reports whose sole objective is to further their own interests. (Each side claims to be winning and each side slanders the other.) Another difficulty was the nature of the Al-Nusra Front and the Islamic State in Iraq and Greater Syria. They are both closed, decentralized organizations with many rivals and which are careful to preserve their secrecy and do not reveal, even to their own operatives, information about their leaders or about how they operate. 21. The study focuses on the Al-Nusra Front, the most significant organization among the jihadist organizations operating in Syria, which has an important role among the rebels. 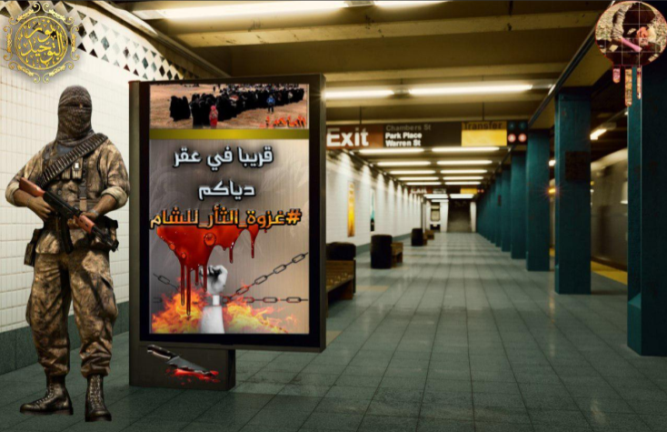 However, to complete the picture the study also relates to the Islamic State in Iraq and Greater Syria and other Salafist-jihadi organizations, although with less detail. 22. The study is based on the analysis and cross referencing of information from open sources, especially information from sources affiliated with the Al-Nusra Front (videos, announcements, claims of responsibility, interviews with organization operatives). In addition, use was made of information posted on the Internet and in the various Syrian, Arab and Western media (note should be made of Syria Comment, which posts important articles about the Syrian civil war and the role the jihadist organizations play in it). Helpful information was found in reports filed by Western and occasionally Arabic correspondents who visited the regions under Al-Nusra Front control in northern and eastern Syria. Correspondents reported from the field about the governance activities of the Al-Nusra Front and other rebel organizations, and about the mood of the local population, despite the limitations placed on reporting. 1) The Quilliam Foundation, a London-based think tank, issued a report, apparently in the middle of 2012, entitled "Jabhat al-Nusra: Jabhat al-Nusra li-Ahl al-Sham min Mujahedi al-Sham fi Sahat al-Jihad, A Strategic Briefing" (without date or author's name). 2) The International Crisis Group, an international,organization committed to preventing and resolving deadly conflict, issued a study on October 12, 2012 entitled "Tentative Jihad: Syria's Fundamentalist Opposition" (no author's name given). 3) The International Centre for the Study of Radicalisation and Political Violence (ICSR), a British think tank based in King's College, London, whose article by Aaron Y. Zelin on foreign fighters in Syria was particularly helpful. 4. The meaning of the term "Al-Nusra Front"
The full name of the organization is Jabhat al-Nusra li-Ahl al-Sham, ("the front for the assistance of the residents of Greater Syria"). The term al-Sham may be translated as both Syria and "Greater Syria." However, because of the global Islamic concept of the Al-Nusra Front and its goals, which go beyond the state of Syria, it should be translated as "Greater Syria." The organization is generally called the Al-Nusra Front, and that is the name that will be used in this study. Russian Foreign Minister Sergei Lavrov raised the concern that weapons sent to Syria would fall into the hands of the Al-Nusra Front. He said that "Jabhat al-Nusra is the most effective functioning structure of the armed opposition, and I have no doubt that the overwhelming majority of weapons that have already ended up in Syria, as well as those [weapons] that will end up in Syria, will be distributed via that structure” (http://eaworldview.com/2013/06/syria-today-the-war-on-the-economy). Despite his clear bias (an echo of the Syrian regime's tactic to exaggerate the jihadist threat), his statement apparently reflects a genuine concern that is not baseless (because of the presence of a Chechen military unit fighting in the ranks of the Al-Nusra Front, among other things). Nevertheless, it can be assumed that Western and Arab correspondents visiting the areas of jihadist control are limited in what they can report and sometimes are in personal danger. An article was published in the New York Times on August 22, 2013 about an American photographer who was captured by the Al-Nusra Front. He was tortured but managed to escape after about seven months. According to the article, during 2013 there were 17 foreign nationals in Syria who were abducted or disappeared.